Our ancestors used oils in ceremony and ritual hundreds and even thousands of years ago. Because many essential oils are still available, we can continue making our own blends today. In the past, oils were created by placing oil or fat over a heat source, and then adding fragrant herbs and flowers to the oil. Many companies today offer synthetic oils at a fraction of the cost of essential oils (essential oils are the ones actually extracted from a plant). However, for magical purposes it's best to use authentic, essential oils—these contain the magical properties of the plant, which synthetic oils do not have. Author Sandra Kynes, who wrote Mixing Essential Oils for Magic, says "Aromatic plants in the form of oil and incense were elements of religious and therapeutic practices in early cultures worldwide. In addition, anointment with perfumes and fragrant oils was an almost universal practice." In some folk magic traditions, such as Hoodoo, oils can be used for both anointing people and objects, such as candles. In some magical systems, such as various forms of Hoodoo, candle dressing oils are also used to anoint the skin, so many oils are blended in a way that is skin-safe. This way, they can be used for dressing candles and charms, but also can be worn on your body. While many commercial vendors would have you believe that there's some Super Secret Magical Method for blending oils, it's actually pretty simple. First, determine your intent — whether you're creating a money oil to bring you prosperity, a love oil to boost your romantic encounters, or a ritual oil to use in ceremonies. Using an eyedropper, add the essential oils in the recipes. Be sure to follow the recommended proportions. To mix, don't stir... swirl. Swish the essential oils into the base oil by swirling in a clockwise direction. Finally, consecrate your oils if your tradition requires it - and not all do. Make sure you store your oil blends in a place away from heat and moisture. Keep them in dark-colored glass bottles, and be sure to label them for use. Write the date on the label, and use within six months. There are a number of ways you can use your oils in a ritual setting. They are often rubbed on candles for use in spellwork - this blends the powerful energies of the oil with the magical symbolism of the candle's color and the energy of the flame itself. Sometimes, oils are used to anoint the body. If you are blending an oil to use for this purpose, be sure that you're not including any ingredients that are irritating to the skin. 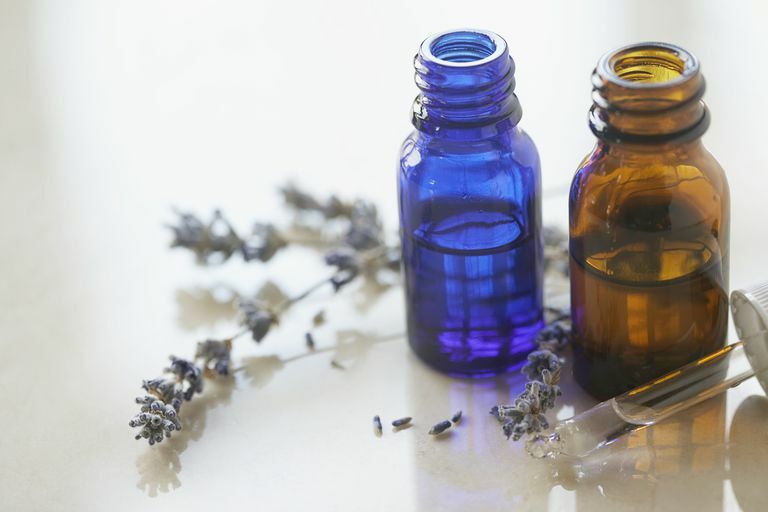 Some essential oils, such as frankincense and clove, will cause a reaction in sensitive skin and should only be used very sparingly, and diluted heavily before use. Oils applied to the body bring the wearer the energies of the oil — an Energy Oil will give you a much-needed boost, a Courage Oil will give you strength in the face of adversity. Finally, crystals, amulets, talismans and other charms may be anointed with the magical oil of your choice. This is a great way to turn a simple mundane item into an item of magical power and energy. This oil can be blended together in advance and used for any ritual requiring blessing, anointing or consecration oil. Use this blend of sandalwood, patchouli, and other scents when welcoming guests into a ritual circle, for anointing a new baby, consecrating magical tools, or any number of other magical purposes. Blend up a bit of magical protection oil to keep yourself safe from psychic and magical attacks. This magical blend that includes lavender and mugwort can be used around your home and property, your car, or on people whom you wish to protect. Use Protection Oil to anoint yourself and those in your home. It will help keep you safe from psychic or magical attacks. Looking for a special oil blended for a gratitude ritual? Mix up a batch of this oil that features oils associated with thankfulness and gratitude, including rose and vetivert. Blend this oil up ahead of time, and use in rituals calling for abundance, prosperity, good fortune, or financial success. Money spells are popular in many magical traditions, and you can incorporate this into your workings to bring prosperity your way. As you blend the oils, visualize your intent, and take in the aroma. Label, date, and store in a cool, dark place.